I have an exciting bit of news to share with you, dear readers. A few months ago I was bemoaning my fate to a few people who were willing to listen to me gripe. You see, I’d love to get some editing experience under my belt, but it’s hard to take that plunge when you have no one to help you along or tell you what you should do to get valuable experience. 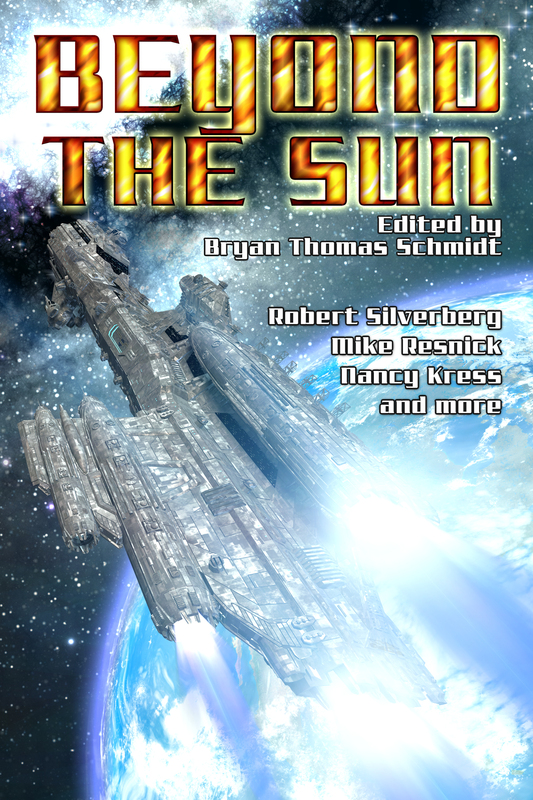 Thankfully, one of my friends is Bryan Thomas Schmidt, a man who not only writes books, but has edited quite a few of them and just recently released his first anthology. He asked me if I’d be willing to work as an assistant editor on his next project. Then he said Mike Resnick was going to be part of it and I just about had a heart attack. Tonight, Bryan announced this project on his blog and me being me (I’m very excitable), I decided to share the news over here and point my readers in his direction. I’m thrilled to learn from Bryan and get some of the editing experience I really want. It’s also rather surreal to see me listed as the Assistant Editor (yes, I’m basking in that glow). Very cool. Very exciting. So take a look at this link and see what Beyond the Sun is all about. That is so awesome, and congratulations! More and more I see bookbloggers getting a foothold in the publishing industry, and I’m glad you’re one of them! Wow, that is awesome! Congratulations, Sarah! Thanks! I’m very excited about this project. I think it will be a great experience. So I will admit I was just cruising through the feed reader and noticed a cool space ship, and then went omg Nancy Kress, she is amazing! Congratulations and have so much fun! I had been wondering how one actually gets into the editing world, so this is also good to know!